Why do you think the designers used a 15% reduction? What values of 'r' would make a more tactical (mathematical?) game? 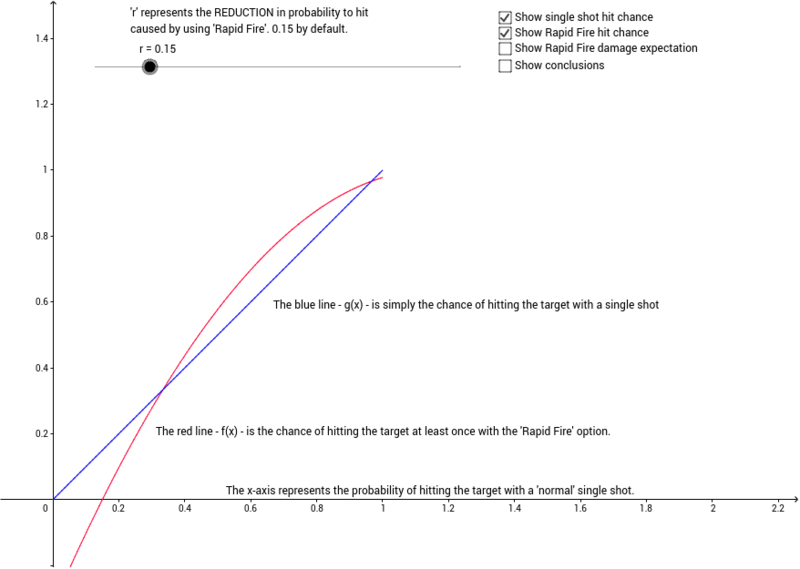 What values of 'r' would make the 'Rapid Fire' feature a poor part of the game? Why are 6 points concyclic?